Put on your running shoes and explore the magical world of Potpourri. 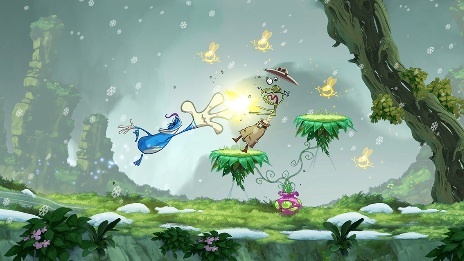 Great news for fans of Rayman Jungle Run. Ubisoft released an update that adds a new world to the game called Potpourri. Once inside this detailed environment, players will get to dash through nine brand-new stages, along with an additional Land of the Livid Dead board. On top of that, Rayman's trusty sidekick, Globox, is playable, though gamers will need to spend an additional $0.99 to unlock the creature; this also comes with two more outfits for Rayman. We gave Rayman Jungle Run a 4.5 out of 5 in our review. That said, you should give this charming title a permanent spot in your iOS or Android collection.